KIRILL is very much proficient in hair extension applications and procedures, human hair extensions expert and celebrity extension specialist KIRILL is highly recognized for producing incredible success with micro rings hair extensions, giving people the hair they've always desired. 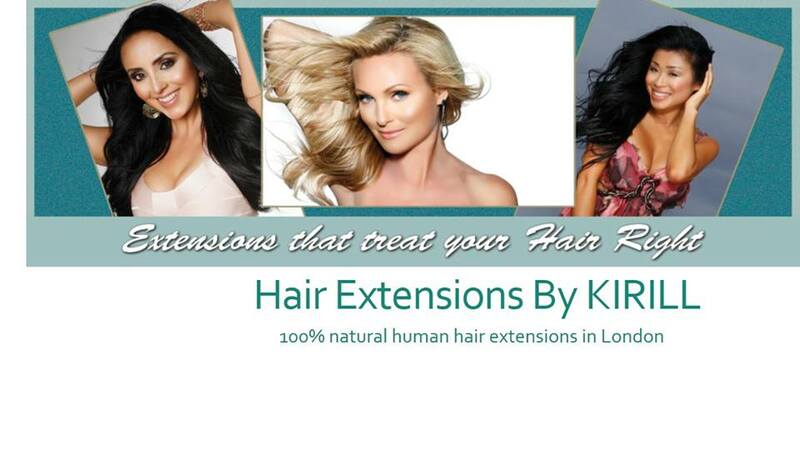 Hair Extensions by Kirill Hair Extensions by Kirill is the largest independent hair extensions salon in London with two decades of expertise in treating clients from the London and overseas. The salon has a reputation for providing a best service in key areas of 'Advance MicroBonds' ™ , Remy cuticle hair, European virgin hair, Russian virgin hair and Russian virgin hair - deluxe line. Hair Extensions by KIRILL - The best hair extensions salon in London Hair Extensions by KIRILL is a leading hair salon, helping woman transforming their look by adding length and volume using extensions. Now you can easily change your dull hair or short hair into beautiful locks. Kirill's innovative 'Advance MicroBonds'™ system (Micro Ring Hair Extensions) gives a permanent solutions for woman who need extensions treatment which involves no glue, harmful chemicals, heat or swing. It means no damage to your natural hair. The preciously engineered micro rings are practically undetectable and therefore your hair will look completely natural. You will get a relaxing atmosphere at the modernized hair studio at Soho in the central London area. Call Kirill for an appointment at 0207 287 0171 and arrange a free consultation.